Erebus is, of course well-known to New Zealanders as being the site of the largest airline fatality in New Zealand and at the time it was said that everyone either knew someone on the flight or knew of someone who had a direct link. 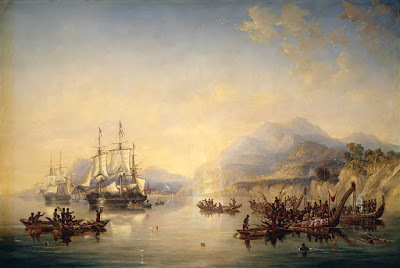 For me, I had distant relatives and a friend’s brother who lost their lives but my link also goes back to the original ships as my three times great-grandmother’s brother served on both ships - Erebus on her voyage of discovery to the Antarctic with Sir James Clark Ross’ expedition when the mountains were named, and Terror where he served on board as cook. His name is immortalised along with others from the latter expedition on the Franklin memorial at Waterloo Place, London (near St James’ Park).Some may not realise but the ships also called in to New Zealand on their way to the Antarctic in 1841. The loss of these ships has generated many theories as to what happened to the crews, and as a consequence, a number of books have been written theorising what may or may not have happened. Erebus was discovered on 2 September 2014 and Terror was found two years later on 12 September 2016. This year, 2016, there was also some talk about having a national memorial for those who lost their lives on the fated Air New Zealand flight as 28 November 2019 will mark 40 years since that fateful flight. Here are some links with video of the ships underwater and books held at Auckland Libraries if you are interested in learning more about the ships and their fated voyage.